Arab states would submit a draft resolution to the UN Security Council and seek an opinion from the International Court of Justice "on the illegality and invalidity of the American recognition," they said in a statement issued after a summit in Tunisia. 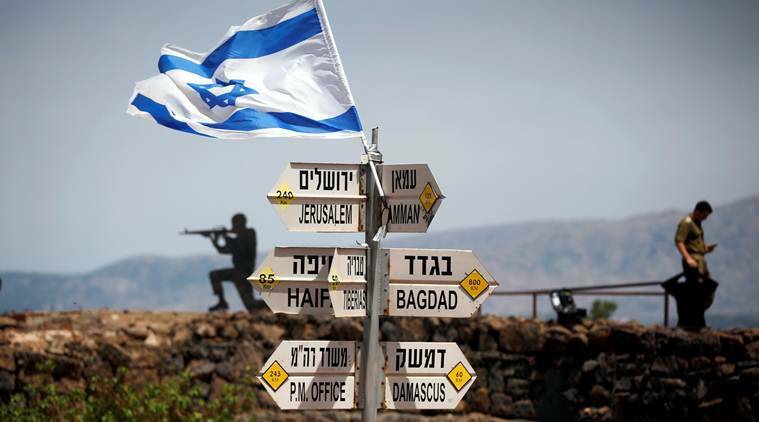 Explained: Golan Heights; Where are they, and why do they matter? 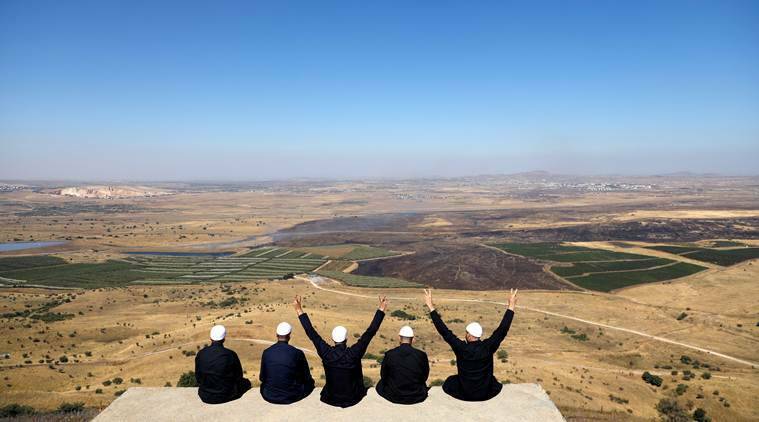 Arab leaders said on Sunday they would seek a U.N. Security Council resolution against the U.S. decision to recognise Israeli sovereignty over the Golan Heights and promised to support Palestinians in their bid for statehood. Arab leaders, long divided by regional rivalries, also ended their annual summit in Tunisia calling for cooperation with non-Arab Iran based on non-interference in each others’ affairs. Arab leaders who have been grappling with a bitter Gulf Arab dispute, splits over Iran’s regional influence, the war in Yemen and unrest in Algeria and Sudan sought common ground after Washington recognised Israel’s sovereignty over the Golan. But the abrupt departure from the summit shortly after it began by Qatari Emir Sheikh Tamim bin Hamad al-Thani, who is locked in a row with Saudi Arabia and other Arab states, suggested rivalries were not easily buried. No reason was given for his departure. “We, the leaders of the Arab countries gathered in Tunisia … express our rejection and condemnation of the United States decision to recognise Israel’s sovereignty over the Golan,” Arab League Secretary General Ahmed Aboul Gheit said. Explained | What is the significance of the Golan Heights? He said Arab countries would present a draft resolution to the U.N. Security Council and seek a legal opinion from the International Court of Justice on the U.S. decision. It warned other countries away from following Washington’s lead. Trump signed a proclamation last week recognising the Golan Heights as part of Israel, which annexed the area in 1981 after capturing it from Syria in 1967. Trump’s earlier decision to recognise Jerusalem as Israel’s capital also drew Arab condemnation. Palestinians want East Jerusalem as the capital of a future state. Saudi Arabia’s King Salman bin Abdulaziz told the Arab leaders his country “absolutely rejects” any measures affecting Syria’s sovereignty over the Golan Heights. Tunisian President Beji Caid Essebsi said Arab nations needed to ensure the international community understood the centrality of the Palestinian cause to Arab nations. In their final communique, Arab states renewed support for an Arab peace initiative that offers Israel peace in exchange for withdrawal from all lands occupied in the 1967 war and said they would seek to revive peace talks with the Jewish state. U.N. Secretary-General Antonio Guterres, who also addressed the meeting in Tunis, said any resolution to the Syrian conflict must guarantee the territorial integrity of Syria “including the occupied Golan Heights”. The Tunis summit brought together the rulers of Saudi Arabia and Qatar for the first time at the same gathering since 2017 when Riyadh and its allies imposed a political and economic boycott on Doha. But Qatar’s emir left the summit hall shortly after Arab League Secretary-General Ahmed Aboul Gheit praised the way Saudi Arabia handled its rotating Arab League presidency last year, live television footage showed. Qatar’s state news agency did not say why the Qatari emir left, but Tunisia’s state news agency TAP said the rest of Qatar’s delegation stayed. Saudi Arabia, the United Arab Emirates, Bahrain and Egypt accuse Qatar of supporting terrorism and say it has been cosying up to Iran, a charge Doha denies. The row has defied mediation efforts by Kuwait and the United States, which called on Gulf Arab states to unite in opposition to Iranian influence in the region. Arab states remain divided over other issues, including how to deal with pro-democracy protests that have erupted in the region since 2011. The presidents of Sudan and Algeria, two nations roiled by anti-government protests, did not attend the summit. Syria’s seat at the summit was vacant. Damascus as been suspended from the League since 2011 over its crackdown on protesters at the start of its civil war. The League has said no consensus has yet been reached to allow Syria’s reinstatement.